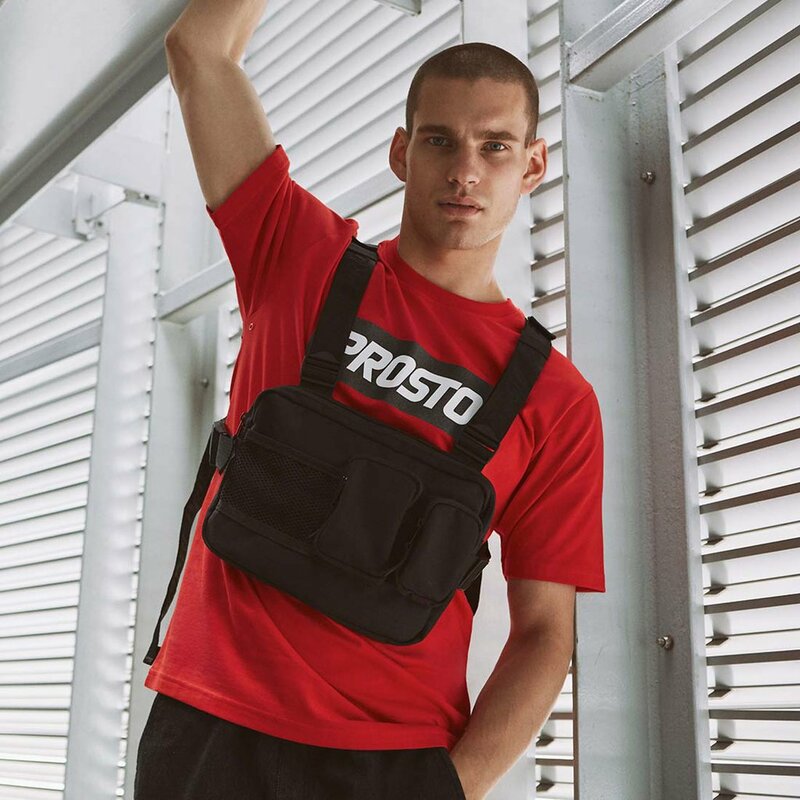 Chest rig featuring branded strap. 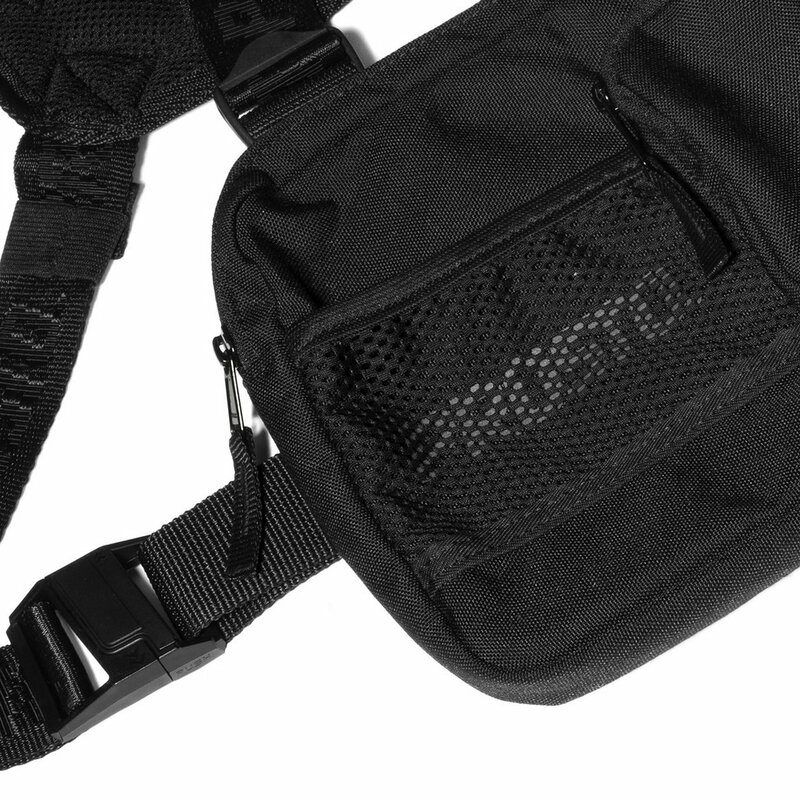 Two pockets with closures inside main compartment. Two small zipped pockets outside. Outside open mesh pocket with reflex foil logo. 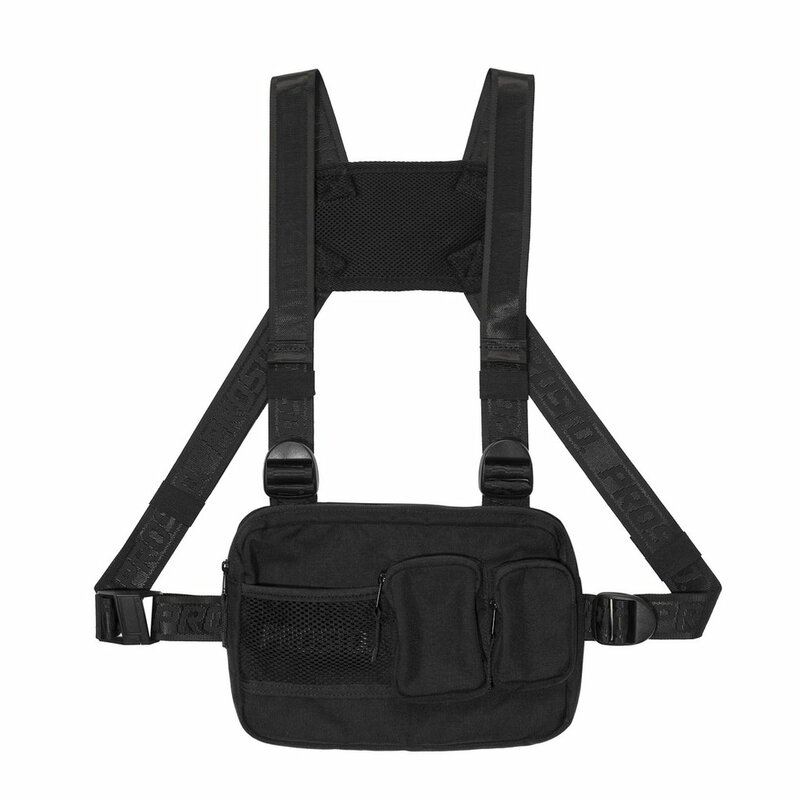 Made of high quality cordura.